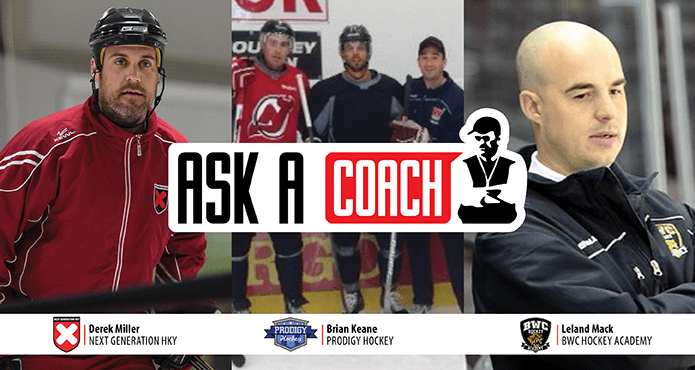 Ask a Coach - How do you Build a Skill Foundation in Young Players? When you build a house, you start with the foundation. When the house is completed, you don’t see the foundation, even though it’s what holds the entire structure in place. Every structure, organization and in this case, hockey player requires a strong foundation. However, too often as builders, leaders and coaches, we focus too much on the exterior and not enough on the infrastructure. We observe too many minor practices that are focused on systems and tactical strategies pulled from NHL games. The result is generally lots of standing around by players during expensive ice time while they try and grasp a concept, which they don’t have the tools to execute. This isn’t only during bantam and midget practices. Kids as young as 6 and 7 years old are being tasked with learning complicated breakout schemes and neutral zone forechecks, among other tactics. Is there value in providing young players a little bit of structure? For sure there is. But for kids to have a realistic chance of pulling off these systems, they need to have a foundation of skills in their hockey tool belt. And like it or not, skill development takes time and PATIENCE. Kids require countless repetition and reinforcement for skills to become habits. Heck, go watch any professional player train in the off-season and chances are they’re back working on the same fundamentals that were drilled into them when they were starting out. The fact that they recognize the importance of these foundational skills probably has a lot to do with why they earn a handsome living playing the game. One issue coaches have with teaching these foundational skills is that they don’t know how to properly train them. Drills are great but if you don’t recognize the details and specific mechanics that go into performing a cross-over or accepting a pass on your backhand then it can be intimidating to try and influence a child who’s just discovering the sport. Going through all the skills young players must acquire before they have a solid foundation is too much for one post. But we thought it would be valuable to approach some experts on the subject, who spend the bulk of their time on the ice building a playing foundation made up of core skills. Of note, while the following skills coaches we spoke to work extensively with kids who are just beginning their careers, they also work with junior, college and professional players as well. Needless to say, they all stressed that regardless of the age and experience of their students, it all comes back to the fundamentals. **NOTE: For the sake of this article we asked the coaches to offer advice related to coaching players aged 6-9. However, many if not all these tips apply to players of all ages. The number one key is getting them captivated and excited about learning. It starts with having FUN! Using video (he brings an iPad on the ice) to show the kids clips of NHL players performing certain skills to reinforce what they’re working towards. Teach through progressions. For example a skating stride would include stride mechanics, arm swing and core balance. Depending on a young player’s skates and the stiffness of the boot, they may not need to tie their laces up to the top eyelid. This can restrict ankle mobility and flexion, therefor limiting proper skating posture. Use progression-based teaching. Simplify and customize to audience as best as possible. Complicated doesn’t equal productive when it comes to working with younger players. Proper training ratios in work to rest. Consider that kids stop learning when they’re tired or bored from too many repetitions. You have to create a fun atmosphere. A LOVE FOR THE SPORT creates a better learning environment. Remember that a proper skating foundation includes a combination of skills. But balance is key. Players can’t perform any skill without balance. Tell them the “WHY”. Make sure each skill makes sense in the bigger picture. Avoid using words like “Never” or “Always”. Hockey is an open concept sport. Hockey sense can’t be developed unless players have the freedom to read and react. Start with one thing and build a progression. Each day should have a theme. Best advice I ever received was to watch NHL games/individual players and then create drills and base teaching based on what they do. Drills are great but having a purpose to what you’re teaching will always be more effective. If you have some additional tips for how to create a foundation of skills in young players, we’d love to hear from you!